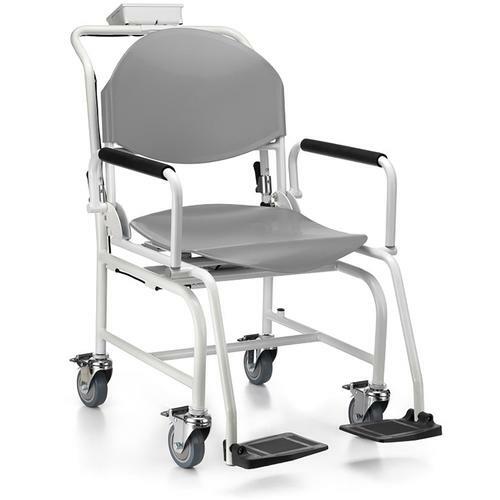 The new Health-O-Meter 594KL was designed to weigh patients in hospitals that need a chair scale to be accurately weighed. When someone is disabled, conventional scales simply do not do the trick, and a digital chair scale is more comfortable for the patient and provide stability and accurate results. The 594KL is a brand new economically priced digital chair scale. Since the 595KL was discontinued in 2009, Health-O-Meter replaced it with two new models offering different weighing capacities and features. This move turns out to really benefit consumers since they can still spend more for the higher capacity, but may choose something with a few less features to save money. When trying to decide which electronic chair scale most suits your needs here are the basic differences. First, the 594KL only weighs up to 440 pounds, has no connectivity and offers a 2 year manufacturers limited warranty. The Health-O-Meter 2595KL has a 600 lb capacity, features connectivity and offers a 2 year limited warranty. Other more minor difference include a slightly smaller display on the 594KL and it features auto-zero adjustments, while the 2595KL has not auto zero tracking. These factors should help you decide whether the value chair scale can perform to your basic needs or if you need something more.